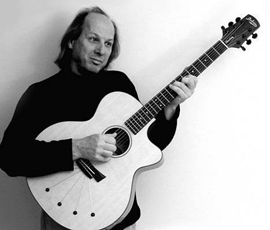 Adrian Belew is a renowned American singer and guitarist who played for Frank Zappa, David Bowie or the Talking Heads among other artists. He’s also part of the band King Crimson and Tori once stated that her then-guitarist Steve Caton was very much inspired by him. He played on Tori’s 6h solo album Strange Little Girls in 2001. “She’s a person—and you can tell this in her music—who knows what she wants," he told PopMatters in October 2012. "She’s in charge. And yet she has a very vulnerable side to what she does. It comes through in her voices. And I say voices plural because her voice changes a lot. She never uses only one voice. And I think that really sets her apart too."